After an unexpectedly brief Spa 24 Hours, Patrick Sellelslagh’s SRT team has rebounded and announced its line-up for the next 24 hour challenge – the Zolder event, scheduled for the last weekend of this month. David Hart, Marc Duez, Maxime Soulet and newcomer Tom Cloet will be defending the colours of the Williams sponsored team, which won this event last year. “This is why I opted for a balanced and experienced team. Not only Marc Duez and David Hart but also the newcomer to the team, Tom Cloet, already has a considerable amount of 24 Hours experience and this is not an insignificant asset. 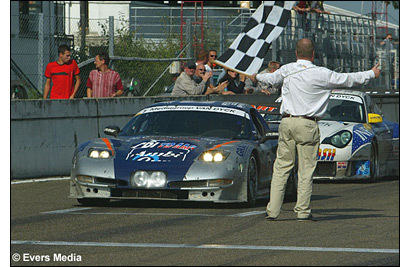 All three have in fact previously competed in the 24 Hours of Spa, Le Mans and Zolder. We are linking this experience to the young talent of Maxime Soulet, who after a first experience in Spa recently, and who was fully convinced about the car’s potential, is determined to perform strongly in Zolder. SRT will be testing the Corvette at Zolder on August 17. The 24 Hour race will start on Saturday August 26 at 17:00.